The climate is sub-tropical, mild in the winter, spring and autumn (fall), but from late May to October, can be uncomfortably hot and with especially high humidity. The hottest part of the year is from May through mid-October, when temperatures hover between 75°F / 23°C and 85°F / 29°C. Humidity, often well over 85%, is at its highest from July through mid-October. Despite its latitude and longitude – and its location so far north of the Caribbean, nearly a thousand miles north of it in fact – Bermuda is entirely frost-free, snow-free and ice-free. Why? 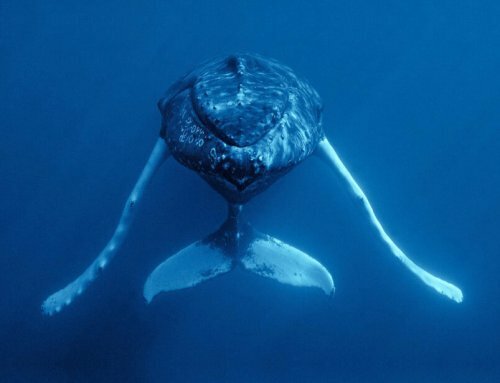 Because the warm waters of the Gulf Stream pass near Bermuda. However, it can be favorable to hay fever sufferers. Rag weed does not exist in Bermuda and pollens of other weeds are quickly blown out to sea. But note that for those with allergies., the always humid climate breeds mold, mildew and mites. Some pharmaceuticals available without prescription elsewhere require prescriptions in Bermuda from registered local medical doctors. Not all drugstores in Bermuda are licensed dispensing pharmacies. You will have to visit one of the latter in the City of Hamilton or the Town of St. George to obtain anything locally prescribed but perhaps not carried by a hotel drugstore. Bermuda’s ocean winds are tempered by the Gulf Stream, but when south winds prevail, the humidity rises and sometimes thunderstorms occur. The highest humidity months are July and August. Temperatures rarely drop below 55 degrees F or exceed 90 degrees F. The lowest air temperature ever recorded was 43.6F. The highest was 94F. Water temperatures during winter months are much the same as the air temperature, ranging from about 66F (in January) through 75F until the late spring. Enough annual rainfall is one reason why Bermuda is usually lush in foliage and greenery despite its very shallow alkali soil. There is no monsoon or rainy season because Bermuda is not in the Caribbean, but some months tend to be wetter than others. But others can be devoid of much rain. Also, several – like late June, July and August in particular and early September – can be extremely (and unpleasantly) humid. If this affects you badly, and you don’t mind cooler water for swimming, then try May or June or late September to October. For weather forecasts, check the Bermuda Weather Service page. It is a Bermuda Government service, provided by the Ministry of Transpor’s Department of Air Operations. In the event of hurricane forecasts, see special Hurricane links to the National Hurricane Center in the USA or The Weather Channel. Some Bermuda hotels and guest properties have a Hurricane Guarantee, which guarantees subject to certain conditions that if they cancel because of a hurricane that prevents them from arriving, no penalty is attached. Studies conducted by the Bermuda Weather Service found that from 1609 to the present day, devastating storms affect the Island every six to seven years. Our tropical cyclone, or hurricane, season is from May through November, with an average of one storm passing within 180 nautical miles of the Island every year. Hurricanes are severe subtropical or tropical storm with heavy rains and intense winds which blow in a large circular motion around a center “eye.” Hurricane season in the Atlantic officially runs for six months, from June 1 to November 30. Most hurricanes occur in August, September and October. 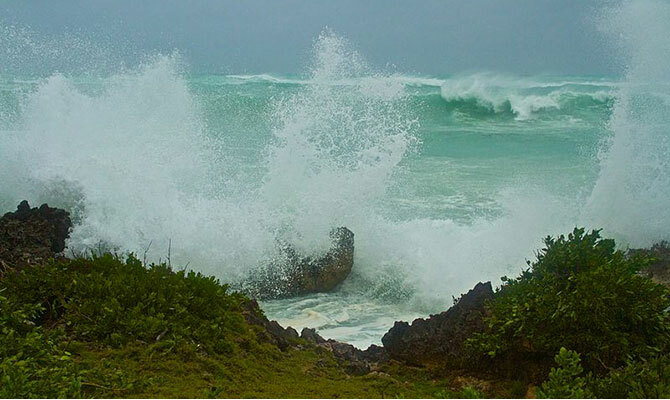 Bermuda is usually quite well protected by its reefs but high waves on top of a storm surge can cause problems in low lying areas close to the sea. Hurricanes are not as prevalent here as in the Caribbean, but they do occasionally visit our island once every seven years or so. When hurricanes strike, their damage to hotels and private dwelling houses is often superficial compared to other places. One major reason is because by law all buildings must be solidly built out of Bermuda limestone or concrete blocks. Compare this to coastal areas of the USA where wood, not stone, predominates. While all of Bermuda is coastal – no part of Bermuda is more than 1.5 miles from the sea – Bermuda lacks a gradual undersea slope, which is a primary cause of severe storm surge. But Bermuda’s flora – trees, flowers, vegetation and the like – and fauna are not protected from hurricanes in the way many buildings are. Bermuda often gets electrical outages from gale force winds. This means no power for sometimes hours or days or weeks – and because of the electrical outages no water can be drawn, except manually in buckets if these are available, from underground tanks in local homes. Their only way to get water for basins, baths, sinks, showers and toilets is by electrical pumps from water tanks from each property. There is no central underground water supply. Also, telephones can be out for weeks – and cable TV for well over a month, as in September 2003. The most recent hurricanes were in 2014. 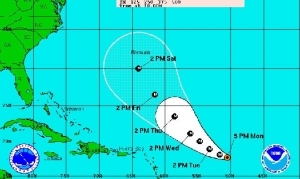 Hurricanes affecting Bermuda, the Caribbean islands, North America, etc. used to be named after saints, according to the book ‘Hurricanes’, by Ivan R. Tannehill. Hurricane Santa Ana struck Puerto Rico in 1825, and two San Felipe hurricanes reached the island in 1876 and 1928. The Hurricane Center began giving Atlantic tropical storms people’s names in 1953, when the US abandoned a plan to name them after its phonetic military alphabet, such as Able, Baker and Charlie. The Geneva-based World Meteorological Organization now maintains the Atlantic lists and ones for three areas of the Pacific Ocean; two sections of the Indian Ocean; and the Philippines, Papua New Guinea, Fiji and Australian regions. Those lists are reused at different intervals and contain indigenous names, such as the Thai name Prapiroon. All the names were women’s until 1978, when men’s were included for some Pacific storms. In 1979, male names were added to the list for the Atlantic and Gulf of Mexico region, known as the Atlantic Basin. The names alternate between males and females and also between English, French and Spanish origin.